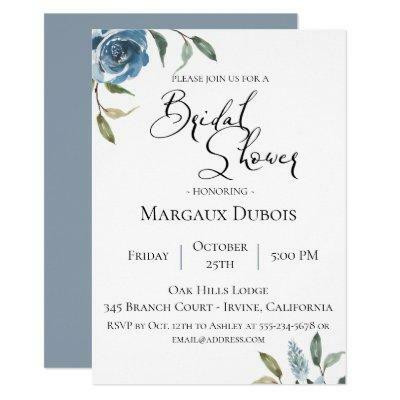 Pretty watercolor flowers in shades of blue with botanical branches, bridal shower invitation. Personalize text font style, color, and size. Background color can also be customized to match your event.